I am enrolled in a course at the local community college and one of the my class mates just graduated. 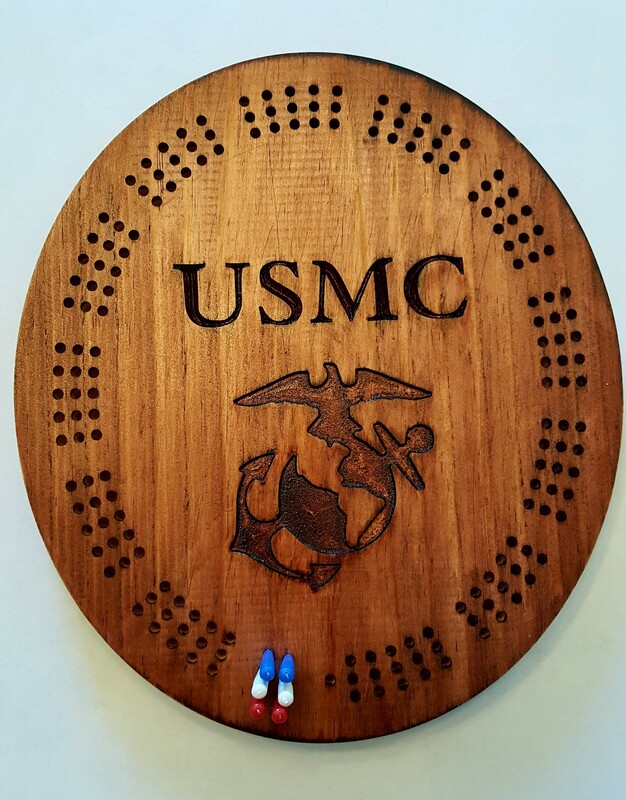 He was a retired Marine so I made this graduation gift for him. I have a Nomad 883 Pro and am hoping to up grade in the future. Real Newbie. I ordered my machine last week. Shapeoko XXL. Supposed to arrive this week. Liked your round Cribbage board. Looking at making something similar. All I have right now is Carbide Create. How did you create all of the holes? Is there a copy function where I can create an object of fifteen holes (3 tracks of five) and copy the object? Thanks for the cheat sheet and the quick response.